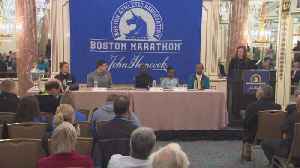 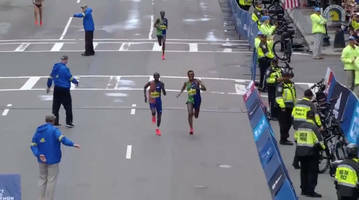 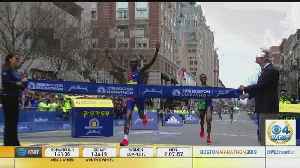 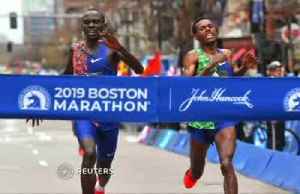 ▶ Videos for "Lawrence Cherono"
The Boston Marathon turned into a two-man sprint race for Kenyan Lawrence Cherono and Ethiopian Lelisa Desisa, with Cherono only edging out his rival at the finish line. 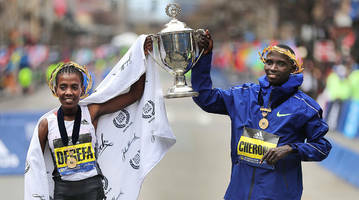 It's been six years since the..
[Nation] Lawrence Cherono and Lucy Karimi on Sunday led Kenya to victory in both men and women races at the Prague Marathon. 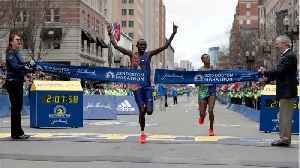 Kenya's Lawrence Cherono has triumphed at the Prague marathon with his compatriot Lucy Karimi taking the women's race. 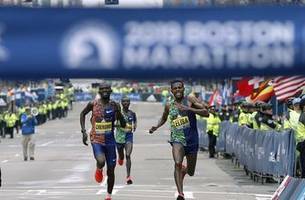 PRAGUE (AP) " Lawrence Cherono won the Prague International Marathon on Sunday while Lucy Karimi claimed the women's race to lead a Kenyan sweep in both races.Cherono pulled away from last year's..